The chance of getting pregnant after a tubal ligation is low because it is one of the most effective method of birth control. If you are one of the few who get pregnant, you have a risk that it is an ectopic pregnancy (outside the uterus), which can have serious consequences. 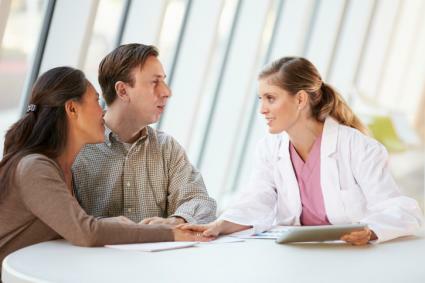 Discuss the risks with your doctor before your tubal ligation procedure. How common is pregnancy after tubal ligation? A tubal ligation rarely fails, so you have less than one percent chance of getting pregnant after the procedure, according to the United States Centers for Disease Control (CDC). Compare this to a failure rate of six percent for the birth control pill. Because a tubal ligation is a safe and effective form of birth control, you don't have to live in fear of an unexpected pregnancy. If you've had a tubal ligation, pregnancy risk is very low; however, don't ignore any symptoms you have that suggest that you might be pregnant. The earliest symptoms of pregnancy include implantation bleeding, fatigue, breast tenderness, and nausea or vomiting. See your doctor as soon as possible if you have any of these symptoms after tying your tubes. Your biggest concern is to make sure you don't have an ectopic pregnancy because a delay in diagnosis can lead to severe complications. According to a review in the Journal of Postgraduate Medicine, of the small number of pregnancies after a tubal ligation, only about 15-20% of them will implant outside the uterus, most frequently in a fallopian tube. The remaining 80-85% of the pregnancies will reach the uterus, and the chance of continuing on to deliver a baby will be the same as any uterine pregnancy. Though the chance of having an ectopic pregnancy is small, the risks are great, and ectopic pregnancies are the leading cause of maternal death in the first trimester. The greatest risk is bleeding from or rupture of the fallopian tube or other organs, such as ovary or bowel, where an embryo may attach. This can lead to severe hemorrhage and death. Don't delay in consulting your doctor as soon as possible if you have any of these potential ectopic pregnancy symptoms after tubal ligation. The risk of an ectopic pregnancy was greater at two or more years after a ligation procedure and was present even 10 years after tubal ligation. Early failure: There is a small chance that the ligation procedure failed to block the tubes completely at the time it was done, and they remain open to the passage of egg and sperm. Delayed failure: Occasionally, months or years later, the two blocked portions of the tubes re-join or reopen and allow sperm and egg to meet. Occasionally, an unrecognized early pregnancy was present before the procedure was performed. You can reduce this risk by having the procedure done within a few days after your period ends and before you have ovulated. Before you have your tubes tied, discuss the chance and risks of pregnancy with your doctor. Though the risk of pregnancy is low, your biggest concern if you do get pregnant is an ectopic pregnancy. Don't hesitate to consult your doctor if you suspect you might be pregnant after tubal ligation, even if you had the procedure years ago.